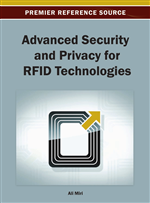 RFID technology can help competitive organizations optimize their supply chains. However, it may also enable adversaries to exploit covert channels to surreptitiously spy on their competitors. We explain how tracking tags and compromising readers can create covert channels in supply chains and cause detrimental economic effects. To mitigate such attacks, the authors propose a framework that enables an organization to monitor its supply chain. The supply chain is modeled as a network flow graph, where tag flow is verified at selected key nodes, and covert channels are actively sought. While optimal taint checkpoint node selection is algorithmically intractable, the authors propose node selection and flow verification heuristics with various tradeoffs. The chapter discusses economically viable countermeasures against supply chain-based covert channels, and suggests future research directions. To analyze potential threats to RFID-enabled supply chains, we present a threat model and focus on four possible supply chain attacks.